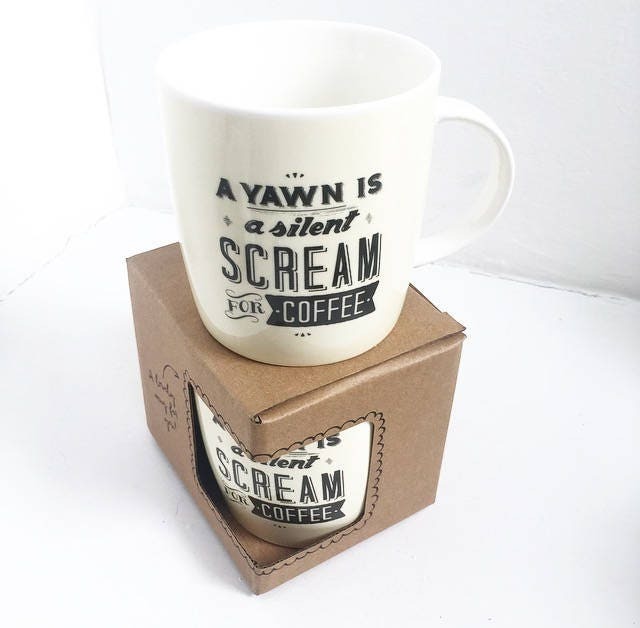 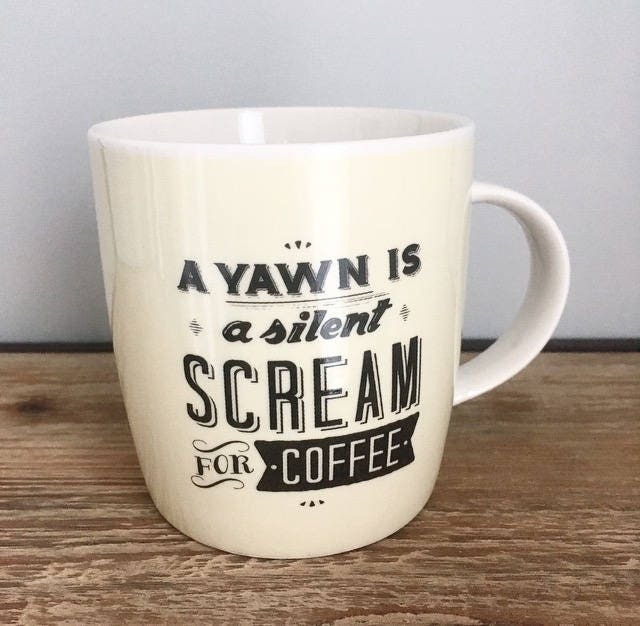 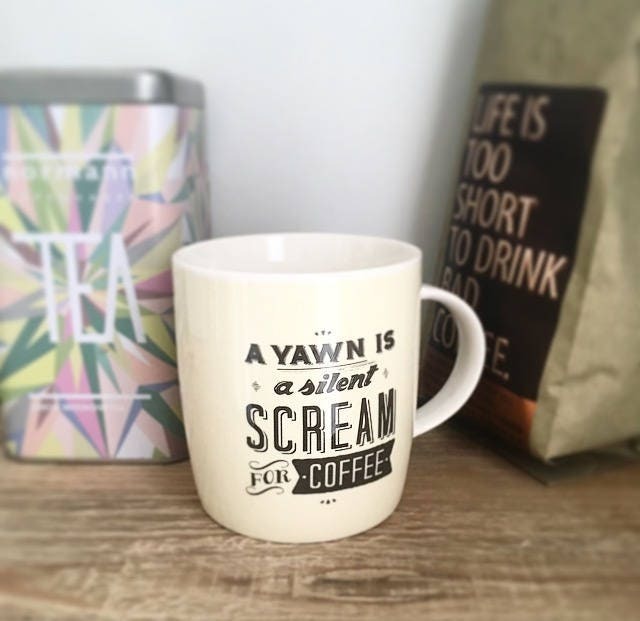 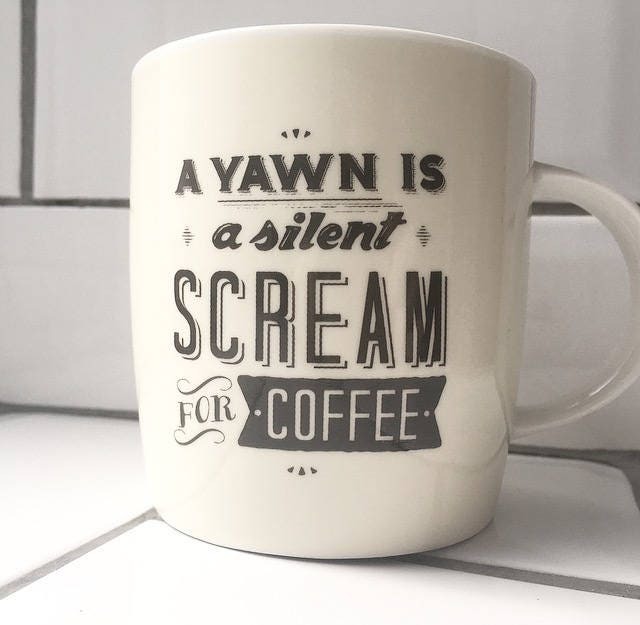 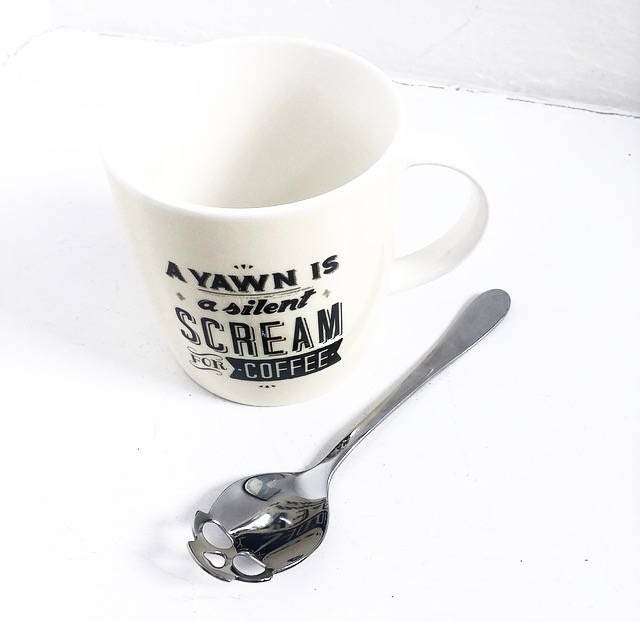 A yawn is a silent scream for coffee. 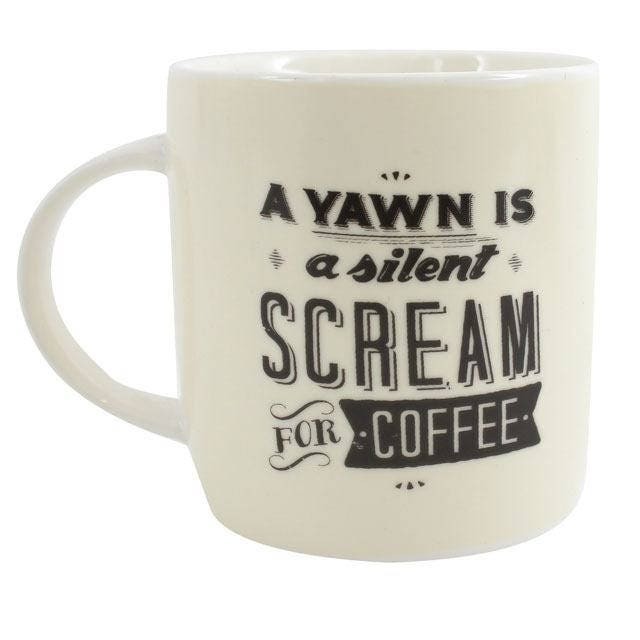 This monochrome mug is the perfect addition to your morning. 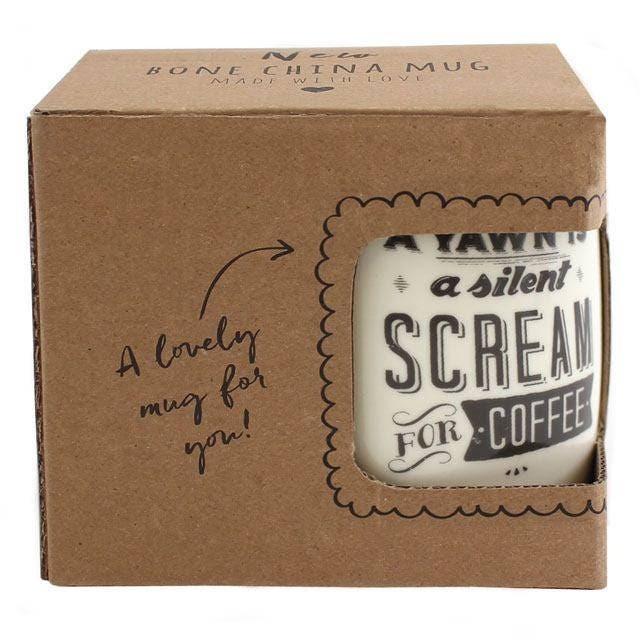 Bone china / 9cm tall.